In today's media, many of the accused are perceived guilty before ever getting an opportunity to defend themselves. Such is the case with William H. "Tank" Black. 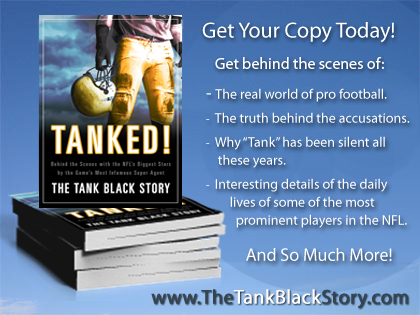 Sign up today and receive compelling videos of Tank himself, in his own words, telling you the real story and present the documentation that was used to clear his name. If you've never been in trouble before, nothing prepares you for the experience of having your freedom suddenly snatched away. In the span of one year, William H. "Tank" Black went from setting the record for having the most first-round picks in the NFL draft represented by a single agent, to sitting behind bars on accusations of stealing from his clients, money-laundering, securities fraud and illegally paying money to college players to win their business. Now for the first time, after nearly eight years in prison, Black sets the record straight and reveals the truth of his inspiring rise, and the behind-the-scenes dealings with some of sports' biggest stars-Vince Carter, Sterling Sharpe, Jevon Kearse, Fred Taylor, Rae Carruth and Carl Banks, to name a few-as well as the curious role the NFL Players Association had in his sudden, catastrophic fall from prominence. 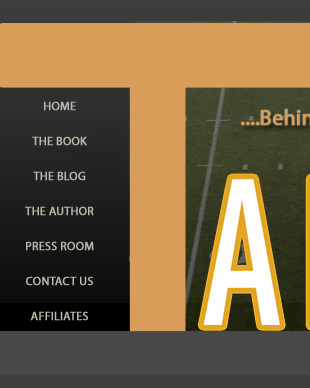 From the moment he found himself handcuffed in the back of a police car in July 2000, until the publication of this book in the fall of 2009, he has waited to tell his side of what had been a widely-covered but sloppily-reported sports scandal. For a limited time, Tank will be offering autographed copies. will be offered at $32.95 *$26.77. 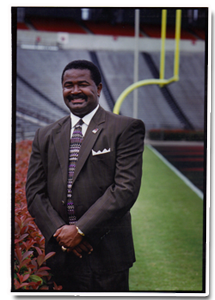 William H. “Tank” Black was an All-American wide receiver at Carson-Newman College who eventually became the Most Infamous Super Agent in NFL History.